Mensusa https://www.mensusa.com/articles/alligator-loafers-the-best-footwear-for-the-casual-dressing.html Alligator Loafers- The Best Footwear For The Casual Dressing Needs The alligator loafers are the most sophisticated and stylish footwear for the fashionable men. 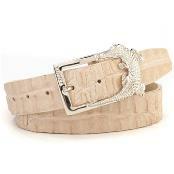 www.menusa.com has the best offering of the alligator belt. As the formal shoes serve your formal and business dressing needs, you need equally ravishing footwear for the casual and the business casual dressing needs. 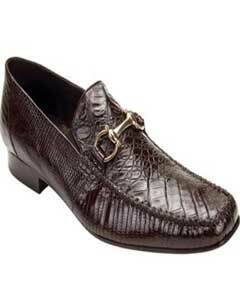 The alligator loafers are the most splendid footwear solution in those instances. Till the recent past, the leather shoes were restricted to the scopes of the formal dressing needs only. Hence, the alligator loafers had added complete new perspectives to men's fashion. The inherent grace in authentic alligator skin that offers exceptional comfort makes the shoes the perfect choices for the casual as well as the semi-casual event. In the casual and semi-casual events the parameter of comfort and convenience hold significant importance. Obviously in a casual party you would dance as well as get in to several activities and in those perspectives, these shoes offering convenience of movement, is the perfect footwear solutions. www.mensusa.com offer a delightful collection on loafer shoes fabricated with alligator skin. You can be assured that the construction would involve one hundred percent authentic skin and hence, the qualitative aspects of the shoes stands guaranteed. You would get widespread options in terms of the design, styling and the color shades of the shoes. What makes the alligator belt so special? To discuss on the perspective of fashion accessories manufactured with alligator skin, you are ought to give a special mention to the alligator belt. These belts look exceptionally classy and serves you great utility. Good to say about these belts that it would never ever break out easily as the ordinary leather belts do. 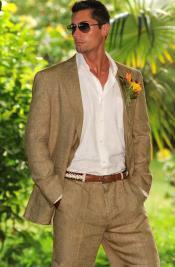 Hence, once you buy an alligator belt, you can expect the waistband to serve you for the longest span of time. You get the belts in various design as well as colors and you get equally ravishing collections for the ones that suits better with the casual as well as the formal attires. 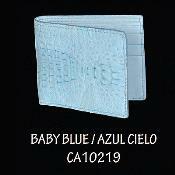 The alligator skin wallet is another ravishing fashion extra for the stylish men. Aside serving the needs like holding the currency notes or the business cards, the selection of the wallets reflect your taste. While you take out the alligator skin wallet out of your pocket, you give a message to the world about your classy taste and fashion pursuits. The construction with the authentic alligator skin ensure that the wallets would be high on the qualitative grades as the alligator skin never dries out shortly, you can be assured that the bag would serve you for the longest. Hence it can be said that the money you spend for purchasing these wallets, fetches you the optimal return of the values. The fashionable men had identified the mens linen suits as the most fashionable and stylish attiring for the casual and semi-formal events. The best part about these suits is that it offers the optimal comfort to the wearer. You can get widespread variation on the shoes based on the colors as well as the design & styling. Hence, you can say that the mens linen suits come with the offering of the most comprehensive dressing options for the fashionable men. www.mensusa.com is the online store that offers you the most delightful collection on fashion accessories constructed with authentic alligator skin. Good to say, the store offers the best collection at the most reasonable prices.